Have you started the countdown for summer? I sure have! 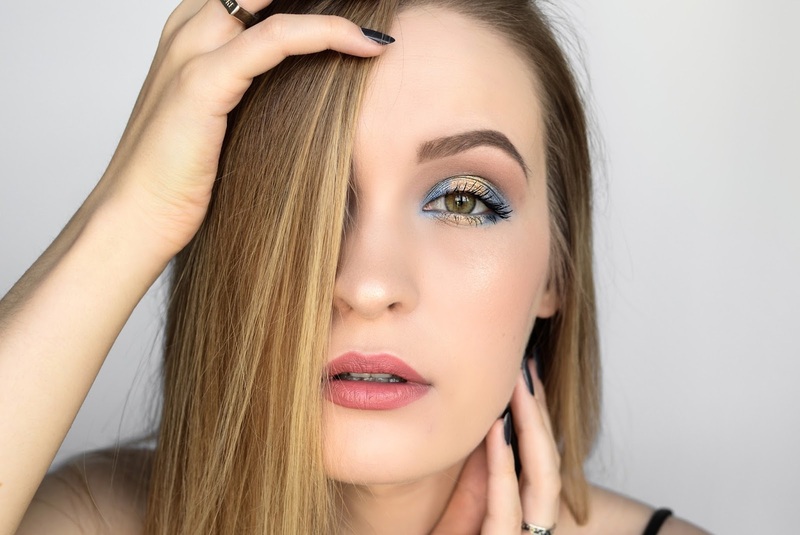 When I created this look I was really done with the weather outside the window, so I decided to cheer myself up with a beachy vibe on my eyelids. For the blue eyeshadow I damped the brush with my NYX Finish Spray (you can use Fix Plus or even eye drops for that) to make it more pigmented and metallic. 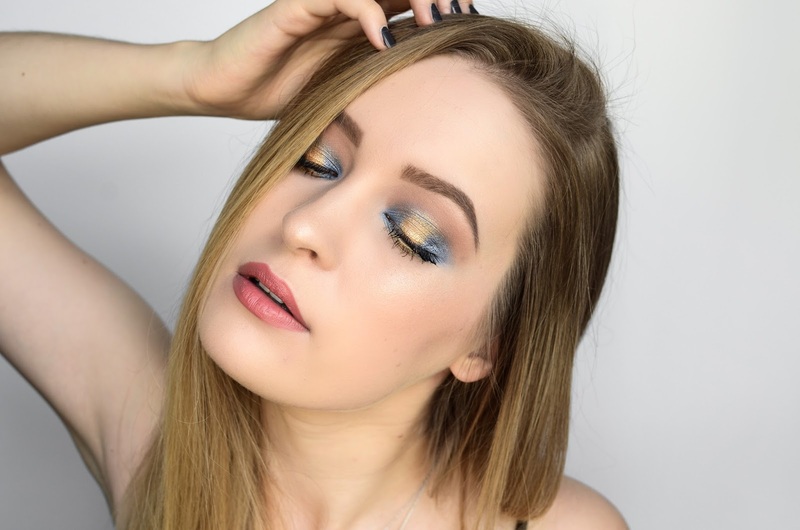 After using mostly other eyeshadows I found it a little bit of a struggle to make this Inglot eyeshadow as blue as possible. Have to find a good replacement for that because I love how gold and blue looks together. 4 comments on "MOTD | GOLDEN SEA"
Skaistākais make up, ko esi veidojusi! Krāsas ļoti labi saskan savā starpā! Super!